Running a factory is a time-consuming business and one where you won’t have time to dedicate to cleaning. With such large areas to clean, you will need to employ an industrial cleaning team for the job. Industrial cleaning services Bristol based can help you keep your factory floor looking its best at all times. Most especially if you handle foodstuffs, you need to ensure that your working areas are clean and hygienic at all times. Machinery in your factory will get dirty over time, with dust, oil, grease, and grime. Cleaning machinery is something that should be done by industrial cleaning experts. Machinery is dangerous and cleaning by hand is not recommended. Also, it would take you far too long to clean a machine by hand. When you order an industrial clean, your machinery can be jet washed, along with your factory floor and walls. 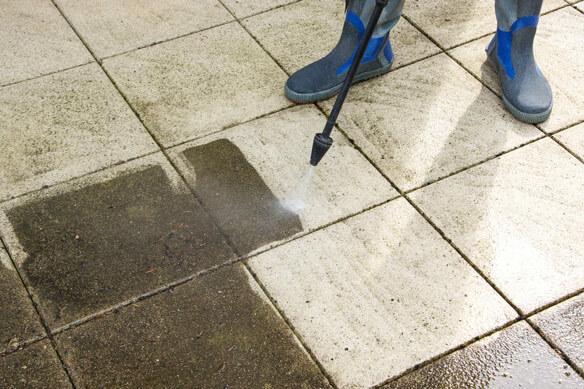 Jet washing is quick and efficient, and cuts through grease, grime, and dirt. Jet washing your factory floor can be done frequently, upon each visit from you industrial cleaners. Your floor will get dirty very quickly, with so much foot traffic every day, far much more than in your average office. Overtime, you may find that your floor starts to look dirty, even after jet washing. The solution here is to order a deep clean for your floor every couple of months. Industrial cleaning services Bristol based will clean floors with industrial strength machinery. Floors can be scrubbed, buffed, and polished. Scratches on tiles can be removed, and your floors will be left looking and feeling great. If you rent out industrial units, then you will be in charge of maintenance, but you won’t be in charge of cleaning. What this may mean is that your tenants are lax with cleaning, especially if the unit has been used for purposes other than for food production and storage. When a lease ends, you want to find new tenants as soon as possible. By ordering an industrial clean in advance, you can arrange viewings for your unit for the very next day. End of lease cleaning can be a big job, a tough job, and one that can sometimes be soul-destroying. If your tenants have damaged your property in any way, you won’t want to even step inside. Although it is less likely for an industrial property to be damaged than a domestic one, there are still certain areas that could be in a bad state. It may simply be that your tenants haven’t cleaned, or it could be that the installations have been damaged. Graffiti is not unknown, and this too can be cleaned with jet washing. Whether you rent out industrial properties, or work in one yourself, it is important to keep on top of your cleaning. For industrial sized properties, industrial strength cleaning is needed. So contact Choice Cleaning Company today. We have the power to cut through dirt, grease, and grime, using industrial strength equipment that is not available to the general public.